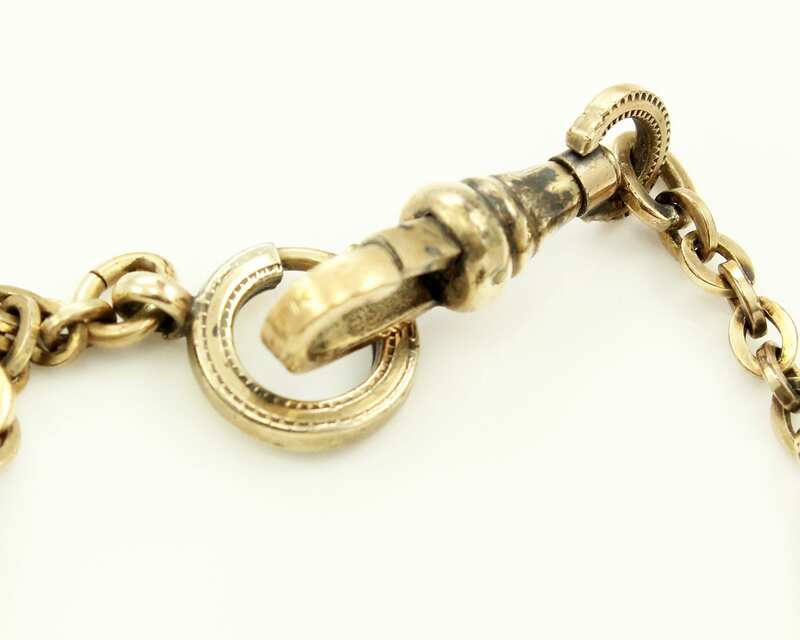 A great accessory for the pocket watch collector or dapper dresser! 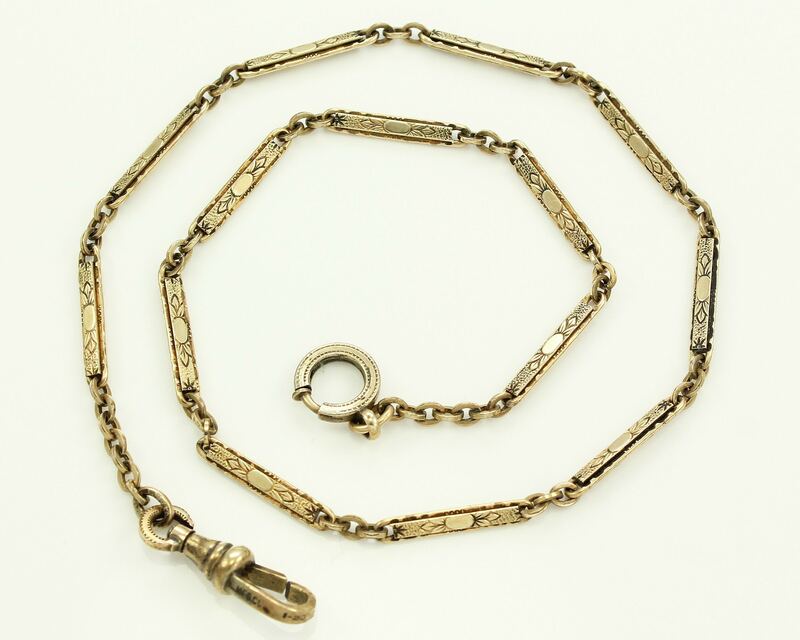 This antique fancy link watch chain is finished with a thumb opening spring ring on one end and swivel watch holder on the other. Each link has an embossed oval flanked by leaves on a stippled background. 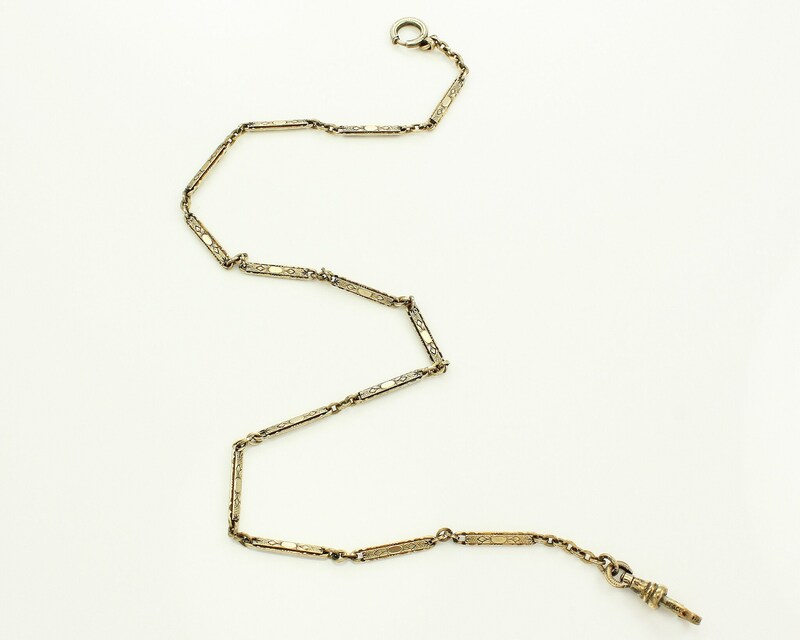 Chain is 14.25" long end-to-end. 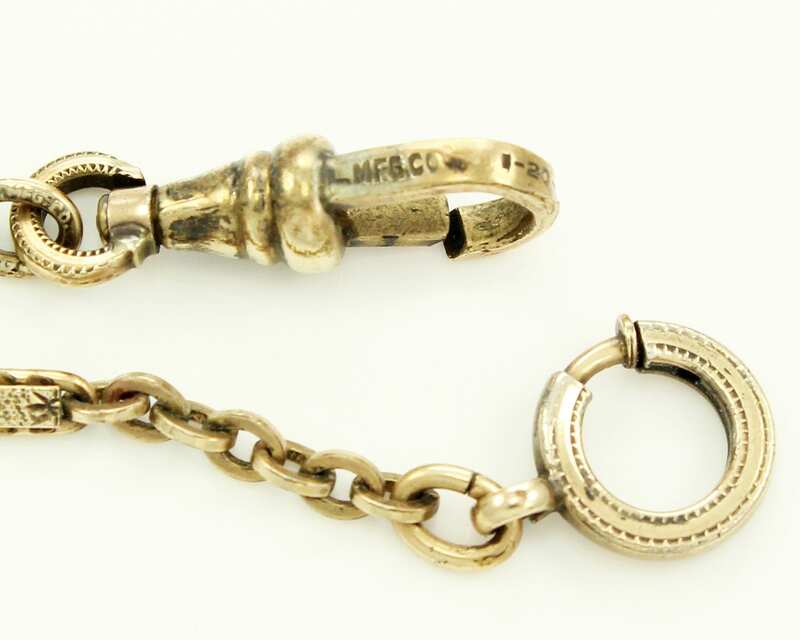 The Swivel is marked L. MFG Co. and 1-10-12K, indicating it is 1/20 12 karat gold filled. In Very Good Vintage Condition, with normal wear associated with age.